A Christmas spectacular starring Cranky Man himself!!! 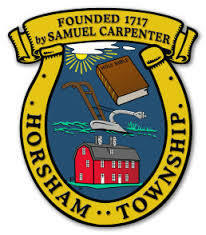 On June 27, 2016 the Horsham (Pennsylvania) Township Council held a meeting with residents where the issue of Horsham Water Quality was addressed in a presentation, followed by a period of Q&A. This was the latest in a series of informational meetings specifically addressing perfluorinated compounds PFCs (PFOS/PFOA) in the township water supply as a result of operations at the now-closed NAS-JRB Willow Grove. Previous information sessions were organized and staffed by elements of the U.S. Navy’s Base Review and Closure (BRAC) office, the Environmental Protection Agency (EPA), and the Horsham Water and Sewage Authority (HWSA). Of all the points to be made in writing this blog post, it must be recognized that pollution issues existing at the base for decades prior to BRAC are hopelessly entwined with the redevelopment effort. Their impact in the redevelopment effort was anticipated by all parties from the very beginning. The officials responsible for its management, Horsham Township Council, HLRA, and the U.S. Navy have always been up front and transparent, presenting all known information directly to area residents! For this reason, I have been able to blog about the various complications that hazardous materials and pollutants pose to the community on at least FOUR occasions, marking Horsham’s progress in efforts to control the future of the NAS-JRB. Regardless of how one feels about the U.S. Navy’s role of environmental indifference since the 1940s at NAS-JRB Willow Grove, the present-day Navy has been proactive, transparent, and honest about what was done on the Base; how it affects the residents of the surrounding communities; and identifying solutions for remediation. 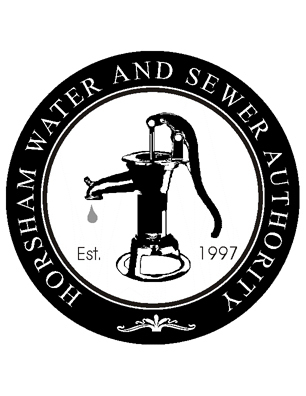 You can find the latest information from the Horsham Water Quality presentation – available on-line. The 38-page Powerpoint slideshow taught me a few new things about PFCs. 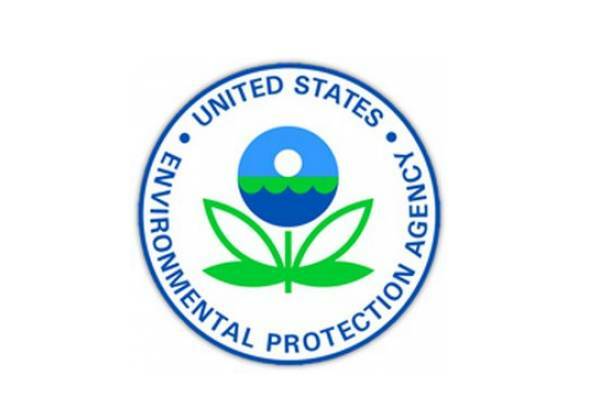 Just two months ago, the US Environmental Protection Agency (EPA) drastically lowered its PFC Health Advisory Level (HAL) from a high of 400 parts-per-trillion (ppt) for PFOA and 200 ppt for PFOS to 70 ppt. 98% of people tested around the globe have tested positive for PFCs. One part-per-trillion (ppt) equals one drop of liquid to 20 Olympic-sized swimming pools. The recently revised EPA HAL at 70 ppt would allow 70 drops of liquid over those 20 Olympic-sized pools! Most PFC applications were phased out of production in 2015. Of course none of these cute little facts serves to minimize the real health concerns of Horsham’s residents (or Warminster’s or Warrington’s). Those concerns are real; should be researched and studied to determine the potential for effects on human health; and those effects – if any – mitigated with the costs accruing to the U.S. Government. So what will be the way forward for Horsham’s water quality? My experiences in following the BRAC/HLRA processes have proven that Township officials and the U.S. Navy have been up-front, practical, and immediately responsive to all issues affecting the community. From making the earliest decisions on an airport; developing a redevelopment plan; and setting in place the organizational infrastructure to move the effort into its next stages. This was no different when the EPA triggered the recent groundswell of public attention by significantly reducing the HAL levels for PFC compounds. When the original HAL (400 ppt PFOA/200 ppt PFOS) levels were set in July 2014, both the Navy and Horsham Township responded quickly, and two municipal wells that tested above the HAL limit were taken off-line. The same reaction was witnessed this past May when the EPA dropped the safe HAL level by several orders of magnitude. The Navy set out immediately to test suspect wells; and the Township quickly removed HAL-exceeding wells from the municipal water system. From this point-of-view, the problem of PFC contamination has been fairly easy to manage. Removing offending wells from the municipal water system effectively reduces the level of contaminants in the system. This approach is so effective, Horsham’s current PFC level is 18 parts-per-trillion … or less than one-third the current EPA HAL standard of 70 ppt! Some suggest that all confidence is lost in the safe-ness of Horsham’s water supply. For me, the experience is quite the contrary. If it’s relatively easy to remove bad-testing wells from the water supply, Horsham’s water supply remains safe insofar as PFCs are concerned. I continue to drink the local water as I did 30 years ago (or more), drinking water right out of hand pumps located on the old Hidden Springs golf course (now Commonwealth National Golf Club)! However, safe water decisions resides with each township resident! Nothing in my discussion is intended to downplay the seriousness of the issue. My approach here is rooted in a confidence based on the demonstrated reactions by those who manage our Township and its infrastructure – above and below ground. The long-range view is even more promising water-quality wise. The solution is in the construction of Granular Activated Charcoal (GAC) filters. The filters are large, custom-made, and housed in buildings roughly the size of a garage. The filters are roughly $1 million per copy; and the U.S. Navy has agreed to pick up the costs associated with the construction and installation of the GAC filters! The Township expects to have all five filters currently needed on-line by years end, resorting to temporary GAC filters while permanently housed filters are manufactured and installed. It’s a solution that is reasonable, practical, and most importantly prompt and decisive! One of my neighbors plans to invest in something called a reverse osmosis filter. EPA and the Pennsylvania Department of Environmental Protection do not recommend in-home filters as being particularly effective. However, the reverse osmosis system is available with carbon filters which are effective in eliminating PFCs from the home’s water supply. The most important point to remember however is that regardless of which choices you make in regards to your family’s water quality, none of us would have the information we need to make these choices, if those in charge of the NAS-JRB redevelopment effort were not completely forthcoming and demanding of the U.S. Navy in ensuring Horsham’s quality-of-life is protected! Tip O’Neill, the long ago Democrat Speaker of the House from Massachusetts was fond of saying, “All politics are local.” When it comes to voting in local elections, History is an effective barometer of Future Success. In Horsham Township, Success is not a theory or a couple of good terms in office. It’s a history built over DECADES of Growth, Efficiency, and the kind of Vision that built a community lauded as one of the Best Places to Live (Horsham #34, CNN/Money Magazine 2013). Republicans Gregory Nesbitt and Mark McCouch have been cornerstones of an effort focused on Growth, managed properly and carefully, that has resulted in Township taxes that have not been raised in over a decade; Efficiency that has ensured your streets and neighborhoods are kept safe; operating smoothly; and cleared of snow in the winter; and Vision that sparked the intuitive action to establish the Horsham Local Redevelopment Authority (HLRA), preserving for Horsham residents control over the key decisions surrounding the BRAC (Base Realignment and Closure) closure of the NAS-JRB Willow Grove airbase. As promising as History has been and the Future will be for Horsham, that Success proves a bit of an obstacle for those looking for competing political gratification. To be serious political players though you should – at least – have ideas and plans of your own that are practical and work in the Best Interests of the Horsham community. As it appears however, Democrat challengers William Gallagher and Veronica Hill-Milbourne are falling a bit short on original Ideas and Plans. They really have nothing else with which to challenge a very successful History of Republican Success. So instead they went straight to Community Scare Tactics! Scare tactics intended to get you worked up over problems already competently addressed. Scare tactics that threaten to mar the reputation Horsham has worked hard for decades to cultivate. Scare tactics that could ruin property values and affect the financial health of every family in Horsham Township. Horsham Water has been a concern of everyone in the Township for years. Since abandoning the JRB-NAS Willow Grove base in 2011, the Navy in conjunction with the HLRA have been working hand-in-hand to resolve issues of soil contamination at several sites on the base. All this is Public Knowledge, provided in open forums to Horsham residents at a number of presentations and HLRA meetings as the Township slogged determinedly through the BRAC portion of the redevelopment plan. At every step of the way, through the decision to create the HLRA; developing a community approach to the decision-making process; deciding whether an airport might be the best choice (It still wasn’t! ); to the submittal of a top-notch redevelopment plan, the Community has been involved. When the Environmental Protection Agency (EPA) first discovered the problem of PFAS/PSOA contamination, the residents of Horsham were notified promptly and the wells in question immediately taken off-line. The Township and the U.S. Navy have held at least two public forums opened to Horsham and other regional residents to discuss the findings, the health risks, the origins of the contamination, testing plans, mitigation efforts, and remedies. Horsham procured excess water capacity from surrounding communities to offset the loss of affected wells. Personally, that doesn’t sound like Township Leadership unconcerned about the community or the health of its residents. And let’s not forget that the responsibility for contaminant mitigation and the COSTS involved in such efforts are the responsibility of the U.S. Navy! Yet somehow this is where township Democrats and something called the Horsham Safe Water Coalition (HSWC), a group supposedly concerned only about the health of Horsham residents, wants to use as a political crowbar. Funny though, that despite the alleged “non-political nature” of the HSWC, the only people shown on its website are the two Democrats trying to land seats on Horsham’s Township Council. You have to wonder, where Mr. Gallagher and Ms. Hill-Milbourne have been spending all their time while many of us were learning the intricacies of Horsham’s water? Were they even present during the HLRA presentations, redevelopment co-ops, and approval meetings? Did they visit the Horsham Township Community Centers where the U.S. Navy presented their Environmental Impact Study (EIS)? Did they rush over to the community center when the Navy and EPA provided all information on contaminants and answered questions from all visitors? What plans have they posted aside from claims not supported by FACT and accusations that reek of a self-serving political objective? Now from experience, I can say not many people attended those Navy/EPA presentations. I attended all but one, and I learned everything I needed to know about the water problems caused by PFOS/PSOA, the steps being taken to determine the full scope of the problem, and how the Navy expected to mitigate the contamination. By now you have seen the campaign literature from the HSWC. And the HWSC is without question the political cover for two Democrat political assassins. This is the ONLY strategy, the only “contribution” the Democrats can offer. They want in, and are unafraid to do ANYTHING to win! Scare tactics … Blurring the truth … Accusing Horsham Township’s leaders of “doing nothing”! Even though the evidence shows direct participation, quick action, and complete openness to Horsham residents about a serious issue when it comes to the current quality of Horsham’s water. Did the Democrats start caring about Horsham’s water recently? Did they bother to learn the issues for themselves? Did they not appreciate that the U.S. Navy bears the responsibility to correct the well water issue? Were the Democrats really unaware of the quick, decisive action taken when the well water problem first came to light? Are the Democrats so desperate that they would resort to misleading scare tactics in a lie to win a couple of Township Council seats? Do they think that tactic is worth the potential damage publicity might inflict on Horsham property values? Well, certainly the Democrats sound extremely desperate. And Desperate is as Desperate does! But is that the kind of Leadership you really want in Horsham?!? I know I don’t!